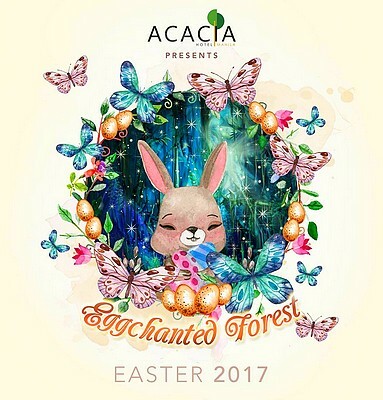 Celebrate a magical and fun-filled Easter Sunday at Acacia Hotel's Eggchanted Forest! Shimmer in pixie dust while enjoying the hotel's Easter activities and brunch buffet. This exciting event will take place at the hotel's Grand Ballroom on April 16, from 11 a.m. to 2 p.m. Tickets are priced at P1,100. Acacia Hotel is at Commerce Avenue, Alabang, Muntinlupa City. For inquiries or reservations, call 720-2000 or e-mail enquiry@acaciahotelsmanila.com.